Created by former yoga teacher, Yamuna Zake, the Yamuna Body Rolling method utilizes dense balls of varying sizes to roll muscles from origin to insertion, providing a workout and deep body massage combined into one. Appropriate for all students, YBR complements Pilates, yoga, and other athletic pursuits by reducing stress and muscle tension, increasing flexibility and range of motion, and creating positive changes within the body. This challenging class is led by two instructors, and is limited to six students (divided into groups). Students receive Intermediate Level Reformer training for half the class, and then switch to 'Pilates Suspend', a core-strengthing workout utilizing TRX straps. 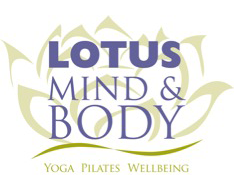 Unique to Lotus Mind & Body Studio, this total body workout combines classical Pilates with challenging TRX exercises. The TRX tension straps provide ideal resistance for engaging core muscles, as well as strengthening, toning and stretching arm and leg muscles. The class is limited to six students.